Our students create and present cumulative projects to promote cultural awareness showcased in their biannual global fairs. Each grade studies a different country and students choose a concentration area or specific region to conduct an in-depth study and create a cumulative learning project. The projects are presented twice a year to family and community members. First grade students focus on specific areas of Spanish culture. 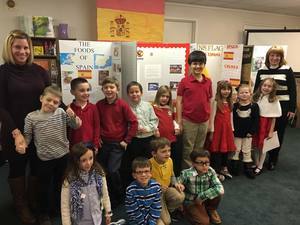 Second grade students study European countries. Upper level students will concentrate their research on Asian cultures. Global studies and cultural awareness are a primary focus of the Jenny Lynn Elementary curriculum. The first global fair of the school year is a Please Touch Fair where students create a visual representation in their cultural research area along with a hands-on component. Some students made food, handed out samples, created photo albums, and other interesting cultural artifacts to bring their project to life. 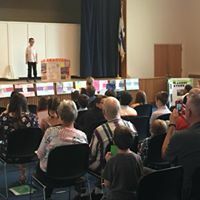 During the second global fair of the school year, our younger students take turns giving an oral presentation while displaying trifold visuals. 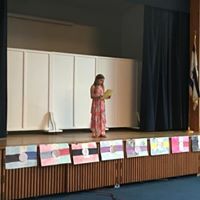 Older students created PowerPoint slides and gave oral demonstrations. The global fair events help our students gain confidence and experience with public speaking skills at a young age. 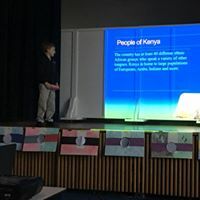 Through global studies the children develop a deeper understanding for other cultures and are able to make meaningful connections with them.